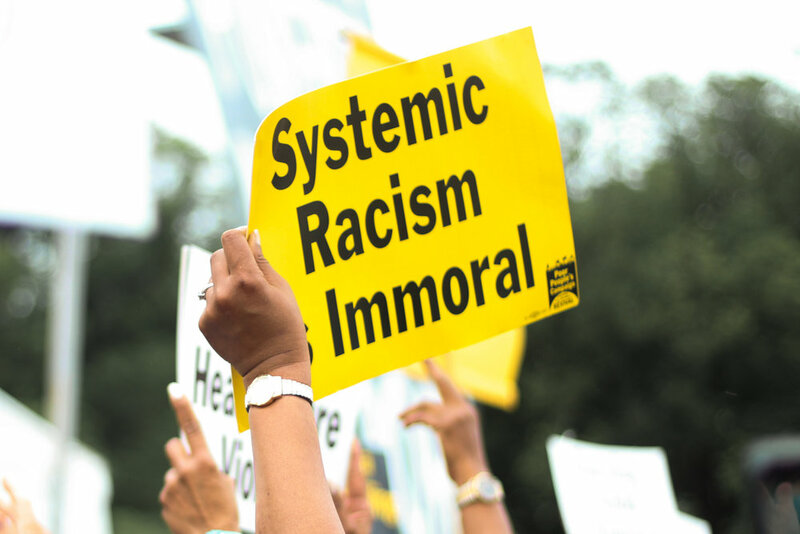 Poor People’s Campaign June 23 2018 - Rally to Fight Poverty Not the Poor - Washington D.C.
At the 1967 National Conference on New Politics, Dr. King spoke about the tragic duality of America, a nation that on one hand “professes the great principles of democracy” and on the other “madly practices the antithesis of democracy”. Since Dr. King’s assassination, there have been numerous efforts to define the legacy of a man who saved the lives of so many people and stirred the soul of this nation. While remembering his dream for America is important, the process of commemoration has often eliminated some of his paramount teachings. Toward the end of his life, Dr. King sounded the alarm on the three evils of society: Racism, Poverty and Militarism. He lost many supporters for his stance against the war in Vietnam and became an even bigger target for uniting the poor across racial divisions. The Poor People’s Campaign, a fusion coalition of Black, White and Brown poor people, one that had a real chance at shifting the policies and representatives of America, was a threat to the status-quo. Today, as we celebrate MLK Day, this picture of America remains the same. Politicians continue to claim a revolutionary spirit, but make no good on the promises of the nation. It’s as though the revolutionary spirit of America is inhabited in a sickly body, the only cure is a swift shift towards social uplift, and those who have the power to administer the cure simply refuse to do so. This is what Bishop Dr. William Barber II and Rev. Liz Theoharis call the “distorted moral narrative”. Our society has a habit of draining the harsh and bitter truths out of sacred documents, texts and people, while commercializing them to be more palatable for public consumption. Our values are indeed distorted, just yesterday Mike Pence invoked Dr. King’s legacy in support of the Southern border wall, saying “One of my favorite quotes from Dr. King was ‘Now is the time to make real the promises of democracy’... He inspired us to change through the legislative process, to become a more perfect union. That’s exactly what President Trump is calling on Congress to do”. Pence is antithesis of Dr. King and yet he boldly wielded Dr. King’s name and legacy to support his agenda, again a tragic duality. Bishop Dr. William Barber II and Rev. Liz Theoharis are drawing upon the unfinished work of the 1968 Poor People’s Campaign, co-chairing a new Poor People’s Campaign: A National Call for Moral Revival. Building on the Moral Movement led by Dr. Barber in North Carolina for over a decade, and developing a policy agenda informed by the long standing work of Rev. Theoharis, this new movement is tackling the evils of systemic racism, poverty, ecological devastation and the war economy. Last year, thousands of activists, clergy and impacted people from over 40 states organized the largest wave of simultaneous non-violent direct action in history, which included mass education, religious services, theo-musicolgy gatherings and civil disobedience across the country. This movement is growing every day and it intends to cut through the stagnant political discourse, to anchor the nation’s conversations in the issues affecting 140 million poor people in America. So today, if we truly want to honor Dr. King, we ought to unhinge ourselves from the rosy pictures of his dreams and face the reality of the nightmare we are living in caused by our “failure to make democracy real”. His words ring truer today than when he said them, “for the good of America, it is necessary to refute the idea that the dominant ideology in our country, even today, is freedom and equality while racism is just an occasional departure from the norm on the part of a few bigoted extremists. Racism can well be, that corrosive evil that will bring down the curtain on western civilization”.